Activision and Beenox have revealed that Crash Team Racing Nitro-Fueled will have remastered content from the original Crash Nitro Kart, a kart racer that had released on GameCube. 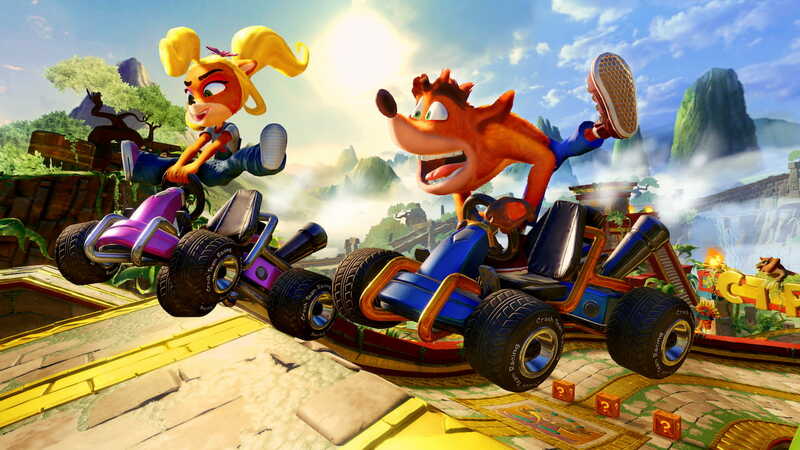 This bonus content includes all 13 of the game’s tracks which the developer has “adapted to match the original Crash Team Racing experience.” There will also be remastered karts, battle arenas, and battle modes from Crash Nitro Kart. Crash Team Racing Nitro-Fueled has been rebuilt from the ground up with the same characters, karts, tracks, and arenas. You will have the chance to race as Crash, Coco, Dr. Neo Cortex and other characters against the egomaniacal Nitros Oxide to save the planet from destruction. The Adventure, Arcade Single Race, Cup Race, Time Trials, and Battle Mode make a return, while you can race with friends both online and offline. Crash Team Racing Nitro-Fueled will be playable at PAX East this week, with attendees having the chance to compete on two fan-favorite Crash Team Racing tracks – Papu’s Pyramid and Sewer Speedway – and two remastered Crash Nitro Kart tracks – Clockwork Wumpa and Electron Avenue. You pre-order the Crash Team Racing Nitro-Fueled: Nitros Oxide Edition ($59.99), a digital deluxe edition that throws in Nitros Oxide as a playable character from day one in all game modes. You will also receive the complete game, Oxide’s Hovercraft kart, space-themed character skins for Crash, Coco, Cortex, and more. This content will be available to unlock in the standard game ($39.99), by completing some of the fiercest challenges in the Adventure Mode. Crash Team Racing Nitro-Fueled will release for Nintendo Switch worldwide on June 21st.